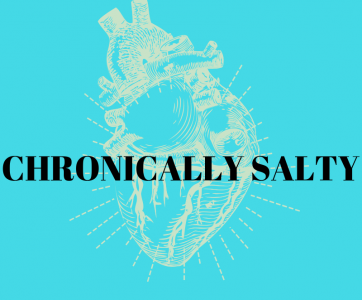 Chronic illnesses can be problematic in many ways– one being the constant fight against deconditioning. Physical deconditioning occurs from periods of being bed-bound or physical inactivity. With our muscles, the phrase, “if you don’t use, you loose,” definitely holds true. People may think physical deconditioning only happens after surgeries or in the elderly, but people of any age or previous physical abilities are capable of experiencing physical deconditioning. Physical deconditioning can affect multiple body systems, but the one you will likely notice first is deconditioning of your muscles. According to Colleen S. Campbell of the VA’s Geriatric Research, Education, and Clinical Center, physical deconditioning can occur rapidly. For people on complete bed rest or bed bound, 10-20% of muscle mass can be lost per week. And the greatest loss are those in postural muscles. Still wondering why physical therapists are so adamant about strength training for POTS? Even crazier, your cardiovascular, or heart, function also takes some major hits from physical inactivity. Losses in cardiovascular function are seen in as little as 24 hours of inactivity. Your resting heart rate can increase by up to 15 BPM in the first few weeks and your blood volume can decrease by 20% in the same time frame. Orthostatic hypotension, or a decrease of blood pressure upon standing, is a common sign of physical deconditioning. Interestingly, Campbell also explains that physical deconditioning can also cause changes in perception, most specifically, a lower pain threshold. This finding supports the “exercise” prescription for many people with chronic pain. So you may be telling yourself, but I was a huge athlete! It is ridiculous that I need to have physical therapy for deconditioning when I could run a marathon last year. Here is the sad truth about this thought process: “within a month or two months you can see a complete loss of all gain,” according to Shawn Arent from Rutgers. How will you battle this problem? Progressive mobilization. Does slow and steady really win the race here? YES! If you are 500 pounds, you won’t expect to be running marathons in a week. It is the same if you are bed bound and have a hard time putting your clothes on in the morning. Start slow and move up. There are many chronic illness bloggers who can now walk a mile or more and were previously bed-bound. When you read about how they made it, they usually talk about doing exercises in bed with a pillow or a filled water bottle. Essentially, move as much as you can, as often as you can without stimulating an illness flare. It may sound impossible, but it really is all about the patience. In fall 2016, I was hiking up mountains for hours without a problem. After developing POTS, I lost over 20 pounds, most of which was muscle weight. I had trouble even sitting up and could barely sit up from laying down without using my arms to help. That is due to physical deconditioning, not POTS. I soon realized that a good part of my orthostatic intolerance was not so much due to the tachycardia I got upon standing (although that is still an issue), but rather my abdominal muscles being so weak, it was hard for my body to hold myself up! It’s not to say that a few exercises have cured my POTS by any means, but I have noticed significant improvement in orthostatic tolerance since getting out my resistance bands and really getting to know them. Stoked and ready to get moving? (At a tolerable level). Check back next week for a complete guide to the using exercise resistance bands with chronic illness.